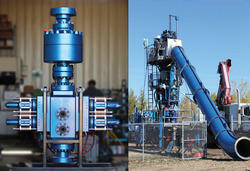 Our high quality and reliable engineers and other skilled and unskilled workforce. Products ERW Pipes manufactured by us are highly efficient made with best quality materials compiled to work suitably and smoothly with trouble free operation. 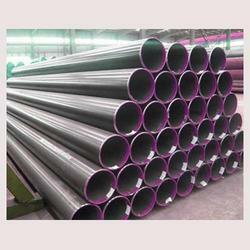 We are the leading manufacturer of Heavy Class Pipes. We are counted amongst the leading names in the industry, offering an exceptional array of Polished Pipe that is acclaimed for high quality and durable finishing standards. They are functionally advanced in nature and ensure high compressive strength. Polished Pipe is offered in well-defined time period. Catering to the demands of varied industry applications, we offer wide range of Stainless Steel ERW Pipes. 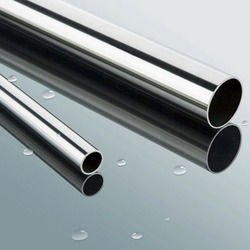 Manufactured as per international quality standards such as ASTM and BIS, our Stainless Steel pipes range is widely preferred in industrial, general engineering applications, offshore pipeline, petrochemical, process plant and onshore pipeline. 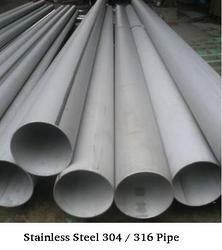 These Steel Pipes are acknowledged for optimum performance, high strength, corrosion resistance and durability. Our range of Stainless Steel Fabricated Pipes is available in different grades and technical specifications to meet the requirements of engineering and industrial projects. 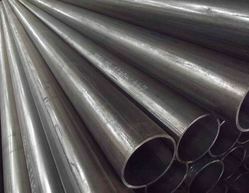 Stainless Steel grade: ASTM A-213, A-249, A-269, A-312, A-358, A-688, AISI 202, 303, 304, 304L, 309, 309S, 310, 310S, 316, 316L, 316Ti, 316LN, 316H, 317, 317L, 321, 409, 410, 420, 430, 440A, 440B, 440C, 2205, 904, 904L, etc. 1/8" NB to 24" NB in Schedule 5, 10, 20, 30, 40, 60, 80, 100, 120, 160, Xs & XXs. Our company is one of the best Carbon Steel ERW Pipemanufacturers in the state with high degree of reliability and guaranteed goods manufactured by using superb quality raw materials in affordable prices. The products provided by us have high reliability and long lasting features and have extensive demand in the market. We are one of the leading manufacturer and supplier of Non-IBR Pipes. We obligated to meet the quality standards, as per the customer demands. We are one of the leading manufacturer and supplier of Non-IBR Pipe Fittings. We obligated to meet the quality standards, as per the customer demands. 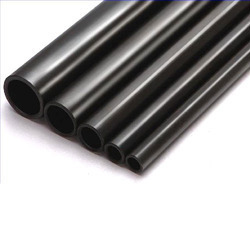 We are one of the leading manufacturer and supplier of Black Steel Pipes.We obligated to meet the quality standards as per the industry norms.